Get the latest from Apple here! Apple's WWCD 2016 has come and gone. 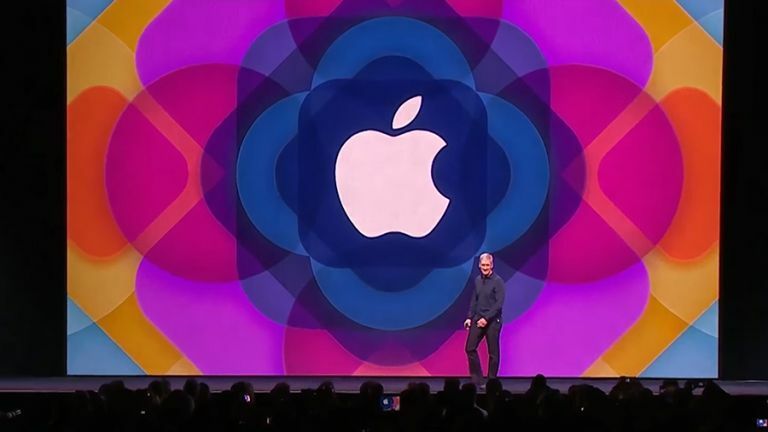 Tim Cook and Co. showed us the latest software heading to your iPhone, Mac, Apple Watch and TV later in the year. It was difficult to see how Apple planned to update the Apple Watch, it already does most things pretty competently. But the biggest update to the Apple Watch OS comes in the form of performance updates. Apps should now open instantly and information is updated in the background before you open the app. Navigation is also completely streamlined, you can now press the pill-shaped side button to open a dock of your favourite apps. You can also swipe up on the home screen to access Control Centre for quick settings. There are also new apps from Apple, including Reminders and Find My Friends. New watch faces, including a Minnie Mouse face, Activity face, and Numerals face. These look like great new additions. Replying to messages is now easier thanks to 'Scribble'. This allows you to write out individual characters. A new SOS feature instantly calls the emergency services, and then emergency contacts. It will send a map with your GPS location, and automatically know the correct number to call based on the country you're in. Apple is looking to take on Fitbit with Activity Sharing, letting you complete with your friends to be the fittest. The Apple Watch will also track a wheelchair user's activity. There's a new app called Breathe. It teaches you how to breathe, in a meditating, relaxing way. watchOS 3 will arrive as a free update in autumn. READ MORE: Apple watchOS 3: Apple Watch now '7 times' faster, has handwriting recognition, and easier app access. Has Apple nailed it this time? First off Apple showed off an updated and slicker iPhone app. You can also now search YouTube. You can tell Siri what channel you want to watch. Just say, 'Watch ESPN 2' and it'll switch to that live-streaming channel. There now an updated UI. There's a 'Dark Mode', which makes it more home cinema-y. R.I.P OS X, long live macOS. This new name fits perfectly with Apple's naming scheme, tvOS, watchOS, iOS. The 2016 version of macOS is called macOS Sierra. If your Mac senses your Apple Watch is nearby, it won't ask for a password, which is handy. This feature is called Auto Unlock. There's now a Universal Clipboard, which allows you to copy text or images on your iPhone, and paste them onto your Mac. iCloud is also smarter. But I missed how, because I accidently pressed 'Page Back'. Rookie Error. Apple Pay is coming to web browsers, allowing you to make purchases in online stores directly through Safari. You'll still need to authenticate the purchase through your iPhone or Apple Watch. Siri has made its way onto the desktop - the virtual assistant now has a little button in the menu bar. Clicking wakes up the little helper and allows you to search you Mac, or the web, just like you can on the iPhone. New look notifications and 'raise to wake' screen which will automatically turn on when you lift the phone up. 3D Touch is also getting a refresh, with much more powerful interactions directly from the lock screen. Control Centre will be getting more power, which better Music controls. All-in-all, the UI is much slicker and looks really impressive. Siri is now open to developers, allowing it to interact and control third-party apps. Book rides on Uber, or send messages in WhatsApp, all from Siri. Quick Type will provide you better suggestions when typing. The 'Photos' app is getting a little refresh, with smart machine learning that will let you search for specific faces or create 'Memory' - short films based on groups of images you have taken. Maps is updated with a new design and better controls. It's more proactive, predicting where you want to go, based on your routine. It now also includes traffic information. Maps is also open to developers, allowing you to book a table at a restaurant and order a car, all from the one app. iOS 10 will bet getting a redesigned Music app, which is bolder, simpler, and more intuitive. HomeKit finally gets a single app, called 'Home'. This allows you control all of your Apple HomeKit devices and scenes from app. Home can also be controlled from Control Centre, and the Apple TV acts a central hub, allowing you to control everything remotely. Calls will be getting more features, with voicemail transcription, and a better calling experience, with more attractive images and automatic call recognition. You can also send hand-written messages, your heartbeat, fullscreen effects, bubble effects. It's just a very fully featured messaging app now, and much more animated. Following tonight's theme, iMessage will also be opened to developers, allowing other apps to interact with the IM. Privacy and security also received a boost, with apps getting end-to-end encryption, and 'differential privacy'. iOS 10 Beta will in July, and receive a full release in Autumn.